Our taste in music should be highly personal. What we listen to can be very descriptive of who we are as people. 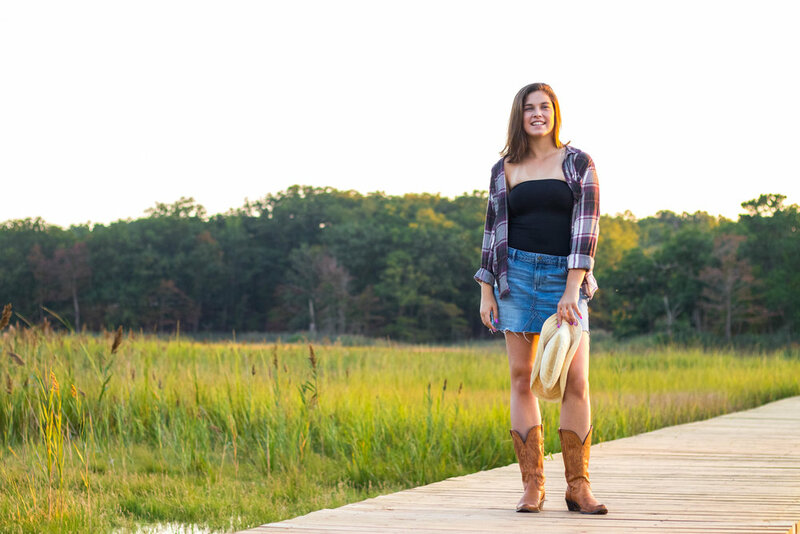 Hannah, today's Southern fashion featured individual, has a country road Carolina soul despite being a Jersey girl. Really, the state of New Jersey has historically been a middle ground between the Northern and Southern cultures of the United States and therefore tends to have a decently strong following of country. Hannah mentions that she enjoys country because it is largely lyrical and has deeper meanings. It's wide variety of artists and messages also creates a song for any occasion or mood. Hannah remembers that she initially got into country music because she was invited to a Luke Bryan concert in the seventh grade. 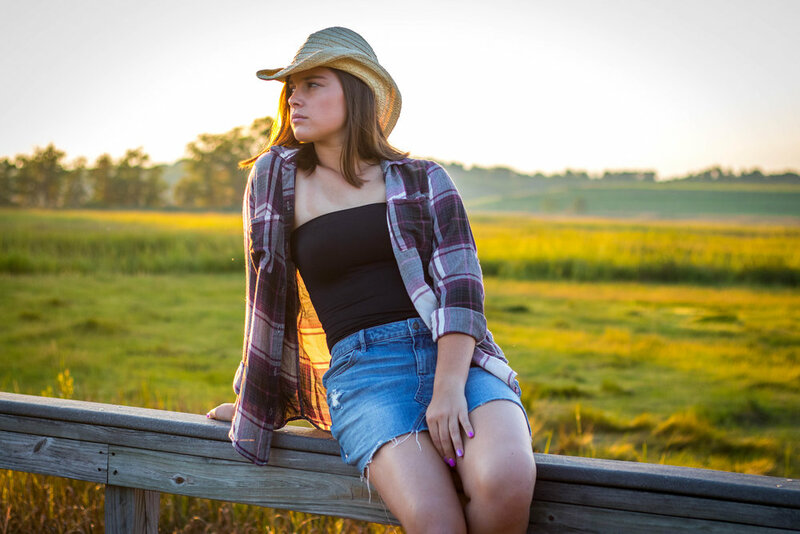 Leading up to the event, Hannah listened to every song until each one was stuck in her head, the favorite of which being "Country Girl," a title which also describes the person Hannah was slowly becoming. Today, she attends every country concert at the local PNC Bank Arts Center and has seen performers such as Dierks Bentley, Sam Hunt, Lady Antebellum, Georgia-Florida Line, and Brad Paisley. Hannah mentions that Georgia-Florida Line is her favorite because their music is easy to enjoy even if you don't know them. For the future, she plans to start seeing shows in other states as well including the Country Music Awards in Nashville. Country music for Hannah importantly represents individualism since before then, she used to focus on hip-hop and pop, today's prevailing kinds of songs. 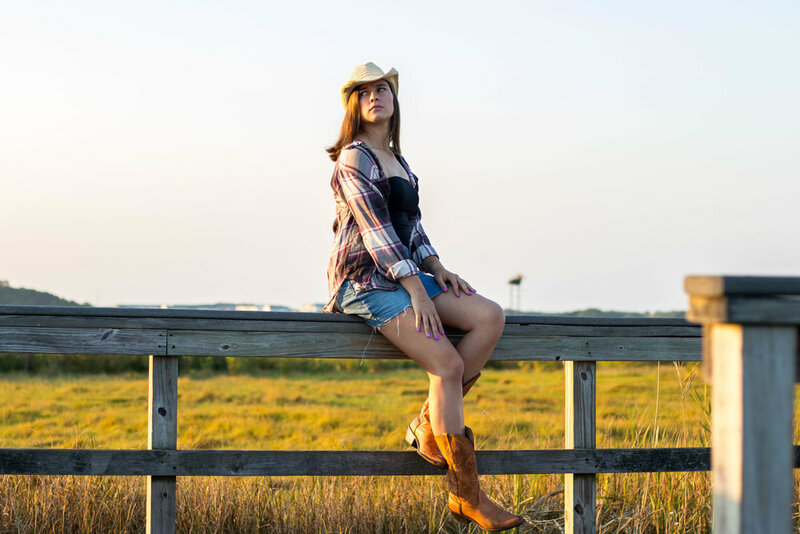 Liking country has inspired her to think for herself and defy the normal. At the same time, music, in general, represents a sense of unity for Hannah. During high school, she performed in two musicals one of which included Footloose, set in the rural town of Bomont. On stage, Hannah witnessed that this shared love of music, despite what kind it was, was able to unite people towards a common goal. Truly, the most beautiful thing about music is its ability to bind all walks of life together. 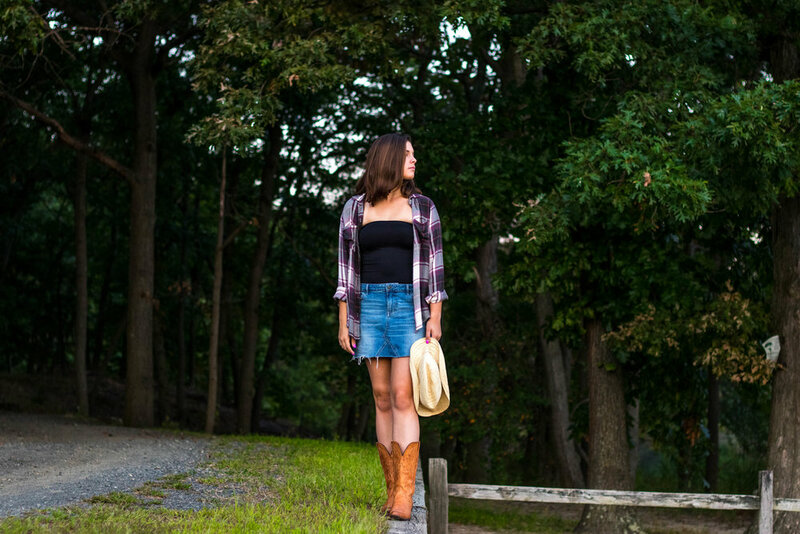 For today's featured look, Hannah is giving a healthy dose of country girl fashion. First, her outfit has a black strapless top whose solid color goes well with the pattern of the purple flannel shirt. Hannah's bottoms then include a classic denim skirt with a great pair of brown leather cowgirl boots that add a lot of country character. To complete it all, the outfit ends with a straw western style hat! Certainly, her apparel is a nice breath of fresh air being the first of hopefully more southern-inspired looks. Also, if you live in New Jersey, these photos were taken in Cheesequake State Park which can be a lovely place for a photoshoot!